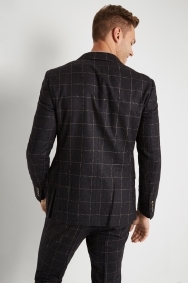 Elevate your formal look with this sophisticated jacket in windowpane design. 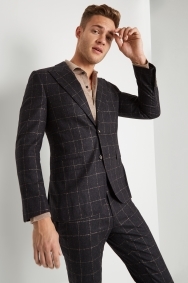 This skinny fit jacket from Moss London Premium is a must-have when it comes to refreshing your wardrobe. 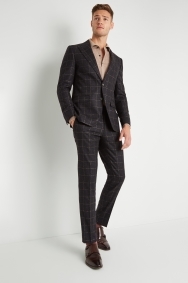 Its charcoal and tan tones will help you stand out from the crowd of everyday suits, while the windowpane design will emphasise your unique sense of style. 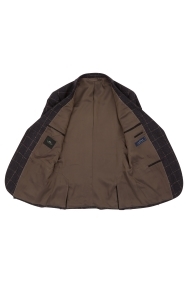 It’s made from 100% wool for an ultra-smart, high-quality finish, while keeping you both cool and warm in the unpredictable weather. 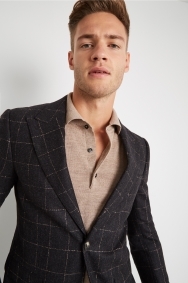 Wear this jacket as a suit with the matching trousers, and keep the look subtle and stylish with an open-buttoned merino jumper or roll neck.